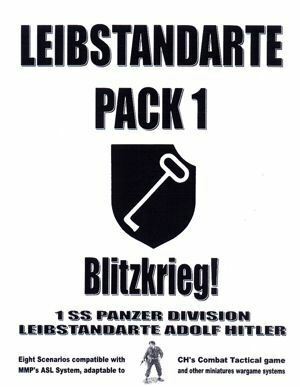 Leibstandarte Pack 1 - Blitzkrieg! At the time of this writing, I have not yet played any of the scenarios. I feel the scenarios look interesting, but some people may be turned off by five of the eight scenarios involving bridge crossing, bridge destruction, or bridge control in their victory conditions.